David Lama, on his first scent of Avataara (5.14d). 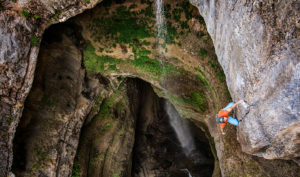 In addition to being an art and a sport, climbing is also a lifestyle–one that takes you on crazy adventures to far-flung locations such as the Bataara Gorge, in northern Lebanon. Marking sixteen years of adventure sports cinematography and culture, Tahoe Adventure Film Festival (TAFF) is the annual gathering with the outdoor adventure community, animated with music, go-go dancers, wild entertainers, and dramatic action imagery. All before the films begin. It’s where the industry’s best filmmakers premier their latest adventure sports films one night only hosted by festival creator and adventurer, Todd Offenbacher. “We select the films, not judge them. Then our community comes together to honor what these film represent”. 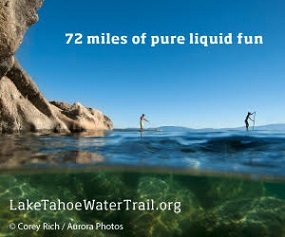 It’s tongue in cheek humor, combined with a celebration of our unique South Lake Tahoe lifestyle and culture,” says Offenbacher.